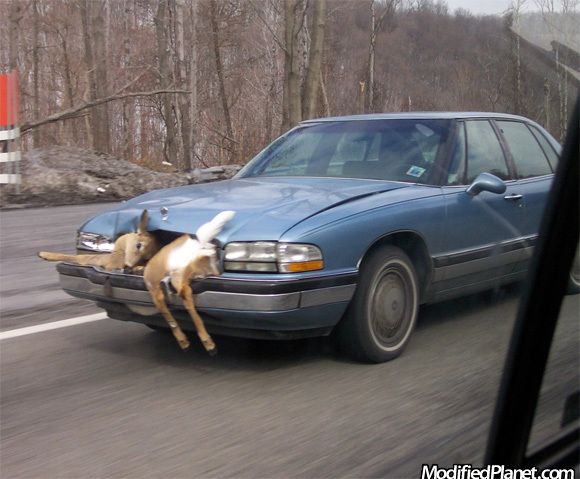 1994 Buick Park Avenue hits a deer and keeps on driving. Looks like the kids aren’t getting their Christmas gifts this year. Car fail. Nine year old kid changes the rear wheel and tire on a Buick Grand National all by himself. Even knows to torque the wheel lug nuts using a star pattern! 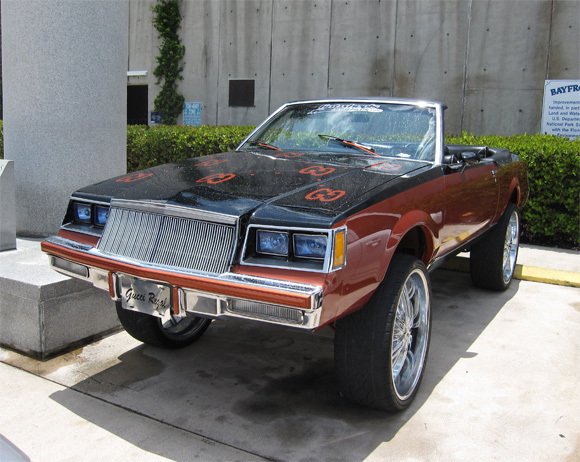 Old school Buick Regal donk covered in Gucci and sitting on some huge 26″ wheels.